Discussion in 'Tilted Food' started by Remixer, Aug 19, 2017. I'm currently looking to get my hands on a really nice cognac to enjoy together with my SO during our upcoming anniversary (soon-ish), so naturally with all of the dine & wine enthusiasts on here I figure I'd probe your expertise. I'd like it to be an extremely smooth cognac without any sharpness, and if possible with a finish on the sweeter side of things as she's a bit of a sweettooth when it comes to her drinks. She's also always had a deep interest in whisky/cognac with Asian origins (Japanese/Taiwanese/Thai), so any recommendations in that area would be much appreciated. Price doesn't really matter to me, though I doubt she'd be happy with me spending a thousand dollars on a single bottle. I'm actively researching, and would love your input. Sorry, can't help. I hate to admit to being so provincial, but I don't believe I've ever even tasted cognac. Nothing wrong with being provincial. As a vodka lover, I only started getting into cognacs 3 years ago. They're really great as a relaxing drink on the balcony or back porch to wind down the night. A friend of mine turned me on to Louis Royer Force 53 VSOP. It's got a serious kick to it, so a little goes a long ways. Cognac is one of the varieties of liquor I haven't explored that much. I've tried some basics (Hennessy, Remy Martin, etc. ), but nothing noteworthy or exciting. I'm generally not a huge fan of sweet drinks. I wish I could be of more help! Please let us know what you get and how you like it. Hibiki is delicious, but it's more like a Scotch than a Bourbon. It has some lingering sweetness but not a lot. I'm not a cognac drinker. I prefer Scotch, Bourbon, Japanese whiskey, or Canadian whisky. The cognac market doesn't have enough diversity for me to be interested. Other kinds of eaux de vie, though--like pear--that's yummy! The cognac market doesn't have enough diversity for me to be interested. Yeah, unfortunately that is definitely an issue. Made the thread with the hope of hearing of some niche cognacs, since I've gone through most of the (cheap and expensive) ones with household recognition. @redravin has already pointed me to one I hadn't tried yet but now certainly will in the near future. Currently leaning towards the Courvoisier for the anniversary as it looks like a nice match for my SO, but am always open to other options. I hear that adding a bit of water to some whiskey enhances its flavor. Would the same be true for Cognac? You just read it somewhere, didn't you? Yes, and I did too, but can't remember where. Mostly from experienced drinkers and connoisseurs, both from here and in Europe. I haven't tried it with cognac, so I can't say. That's it, a similar article was also in the Washington Post. 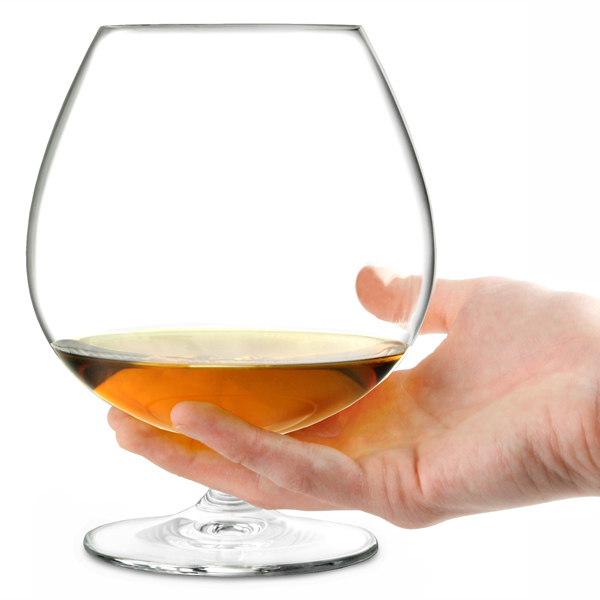 It's a Brandy, and it's best to drink it "neat"
For the sake of science, right? Decided to go with the Courvoisier XO. Its drinking and flavour properties seem to be the best match out of the mid-range cognacs out there. Along with never having had it before and it being a great looking bottle, it seems like a pretty solid choice for the intended occasion. Will report back after we've had some of it some time in the next weeks. Had I seen this in timely fashion I would have pointed out this option. That is a beautiful bottle, @Zweiblumen. Seems like a great gift for a valued woman in one's life. Already ordered the Courvoisier, but will keep this one in mind for the future. There's something very feminine about that bottle. Went to a very nice high-end restaurant last night. Finished up my 10 course meal with a great cognac. More fruit up front here, growing considerably as it gets some air to it. Cinnamon apple, apricots, even coconut and pineapple notes come across. You don’t get much of that with the standard VSOP, which keeps its cards closer to its vest. The finish only builds up the fruit component. 15,000 bottles made. Then from the first sip...rolled around my tongue...very warm down my throat...with a great after taste. It went very well with the gourmet deserts I was having. Slowly finished it, taking my time.